The Only Living Boy Volume 5 -- the final volume in the series -- drops on Halloween. If you'd like an uncorrected proof of any of the volumes in exchange for an honest review, please LIKE or COMMENT below. In honor of New York Comic Con, NoiseTrade invited me to curate a list of comics and sci-fi stories guaranteed to keep you in suspense! Featuring selections by Scott Snyder, Rafael Albuquerque,Samuel Sattin, Mariah McCourt, Black Mask, Kodansha Comics, Matthew Petz, Kujaku Joe and more -- you have to check this out! Option B - Facing Adversity, Building Resilience and Finding Joy. Since January, I've been working on The Only Living Boy Volume 5 -- the final volume in the series -- and that's pretty much where all of my days and nights have gone, but it's FINISHED and it feels awesome. If you'd like an uncorrected proof of any of the volumes in exchange for an honest review, please LIKE or COMMENT below. The Only Living Boy Volume 4 on sale May 2nd! Wooooooot! 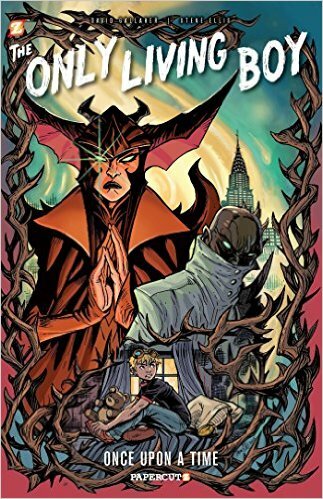 I've been diligently finalizing the series, but if you want an uncorrected proof of Only Living Boy Volume 4 for review, let me know. 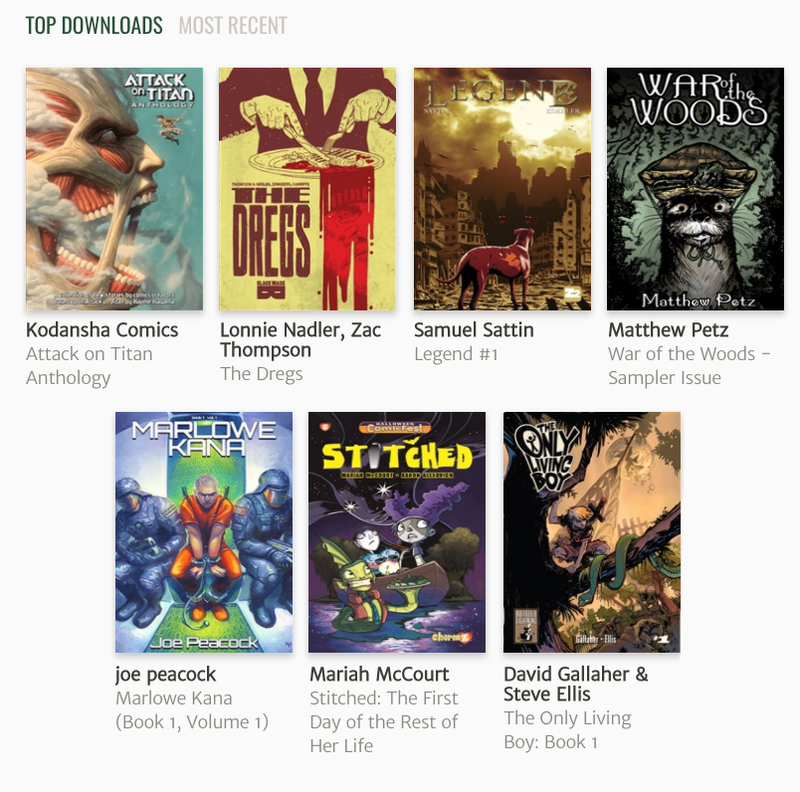 This week, I was invited by NoiseTrade talk about six great graphic novel stories. You can see my picks and download excerpts from those stories right here! Next Tuesday, The Only Living Boy Volume 3 hits stores. If you've agreed to be an advanced reader, we ask that you read the books and share your thoughts with your friends online with reviews here, on Amazon, and on GoodReads. "Baaukar, my lord, it is very difficult to interrogate a corpse. Though, certainly not impossible." 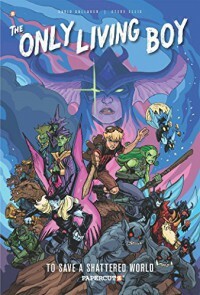 A couple of months ago, I reviewed The Only Living Boy. Vol. 2 by request of the author, David Gallaher. As I said in that review, I was honored to do so. A couple of weeks ago, I received an invite to get more of the story. Based on the previous experience, I jumped at the opportunity to not only fill in what I had missed from Vol. 1, but to continue the story into Vol. 3. As one might imagine, this lends a far greater perspective in terms of storytelling and character development, which for me is far more gratifying than a single installment. The first two volumes are just plain fun. A young boy runs away and finds himself alone on a patchwork planet. He is befriended by some unlikely and interesting allies, and he has to make heads or tails out of the situation he finds himself in. I feel like details would ruin the surprises, though it ultimately comes down to a dystopian sci-fi / fantasy that makes for an impressive introduction that's surprisingly upbeat at times given the foundations in place. There's adventure aplenty, but it's all clearly setup for something more. Questions are asked. Vol. 3 peels back some of those layers to offer answers, which of course only brings new questions and new avenues for storytelling. The masters of the patchwork planet begin to really exert themselves in this volume and reveal themselves to be as patchwork as their creations on more than just the physical level. The story takes a psychological turn, asking the really hard questions about death, love, and belonging in a world where nothing seems to have much value on the surface, and things exist in haphazard combination. I've been wrestling with how to describe this, and the best analogy I can offer is that this is one part Frankenstein, one part The Island of Dr. Moreau, one part The Planet of the Apes, and stitched together with elements of wonder and optimism offered from the best hero kid movies from the 80s. It's one of those stories that you have to see to believe simply due to the sheer amount of heart that David Gallaher put into this story. When you're talking graphic novels, the story has to be told hand-in-glove with the art in perfect symbiosis. Steve Ellis brings a style to this tale that, personally, I found inviting. The muted colors offer a sense of darkness, but the wonder still comes through. As every panel services the story in compliment, you keep turning pages. But when the adventure is over, it calls you back to go through it more slowly to absorb the details in each panel. This has the effect of making you want to re-read to see what else the art may have added that you didn't notice on the first time through. 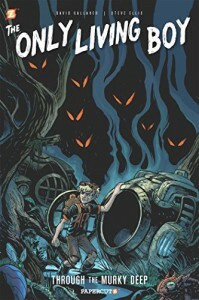 The best graphic novels on the market in any era are the ones that encourage this exact experience, and so I give The Only Living Boy my highest recommendation. I'm looking forward to continuing with this story as it progresses. Young Erik Farrell is once again mixed up with Doctor Once in the most visually stunning issue yet! Finding himself the subject of Doctor Once's experiments, Erik struggles not to give up and continues to fight to regain his memory. As Doctor Once tries to figure out the secret of Erik's strength, a few bits and pieces of Erik's past come to life and what a dark story it is. The Only Living Boy series is beautifully illustrated and delivers some important messages about life, death and not giving up. Recommended for young graphic novel lovers looking for adventure! The Only Living Boy: Volume 3 In STORES NOW! Hey everybody! Good morning! The Only Living Boy: Volume 3 is in stores today! Thank you for those of you have given it advance reviews and that you all for all supporting the series! If you've agreed to be an advanced reader -- the Only Living Boy volume 3 is out this month in comic book stores and bookstores around the world. I'm incredibly proud of the chapter in the series and I think fans of the series will really enjoy it. Looking forward to your thoughts and reviews of it! There is no embargo on the reviews, so have fun! And thanks for being a fan! 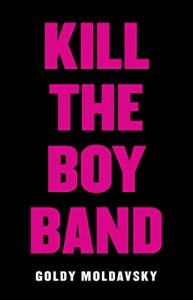 5 Stars: Kill The Boy Band is quirky and rather dark look at celebrities and those fans that worship them. The four girls at the center of the adventure -- Sloane, Apple, Isabel and Erin -- are absolutely dazzling. 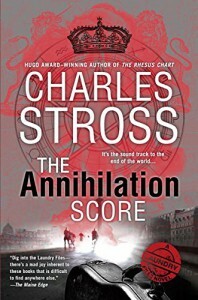 Each has a moment to shine and they provide all the drama and subplots you'd want in an adventure as thrilling as this one. Goldy Moldavsky's debut novel is one of the strongest I've read in a longest time. 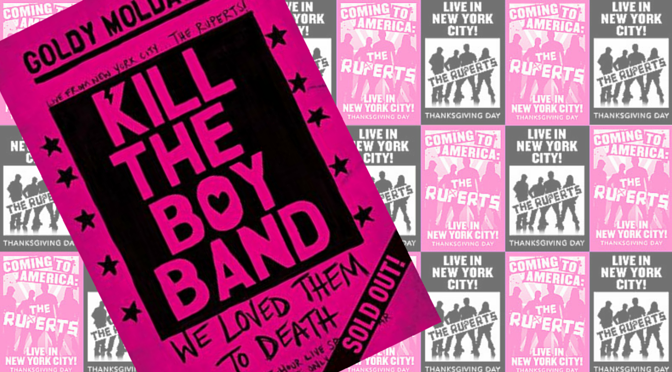 Fans of dark comedies (Heathers, anyone?) should absolutely find a lot to love about this book! Today Only: Grab BOX 13 for FREE on Amazon! 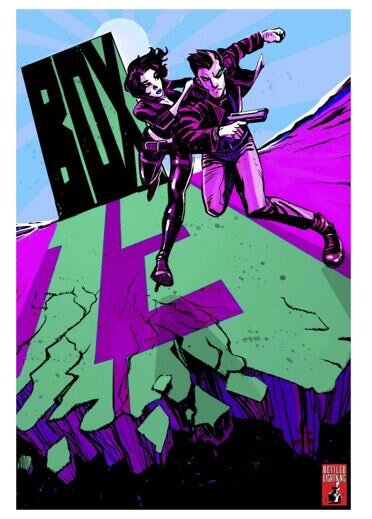 Today is the 13th of September, which means the digital edition of Box 13 is FREE to grab on Amazon's Kindle store! Pick it and if you dig it, please write a review!